NoiseReader is a utility application, with it, you can read noise levels around you, and compared them to known noise levels. It works listening to the microphone on your phone and calibrating using the AudioToolbox framework. It has two buttons a listen and a stop, it also has two switches, that allows you to read either average or peak power and also also to read in decibels units or linear 0 to 1 units. In addition, it also allows you to save noise levels at a particular time and place on your phone for later reference or plot as a graph the noise variations of a particular place at a particular time. So you can go around reading and saving noise levels around you. Enjoy! Check these links to find your download for NoiseReader for & iOS or for your device iPadiPod TouchiPhone. 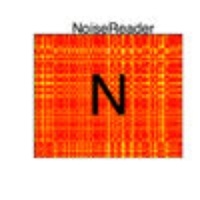 The app NoiseReader is compatible with te following devices.